The Health Insurance Portability and Accountability Act (HIPAA) sets standards for protecting sensitive patient data.This implies that any healthcare provider that electronically stores, processes or transmits medical records, medical claims, certifications must comply with the HIPAA standards. It applies only to electronic medical transaction hence no need to purchase a computer based system. 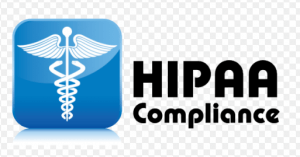 HIPAA requires that all patients must be in a position to access their own medical records, correct errors and omissions and information on how the personal details are being used.Other provisions include privacy procedures to patients, medical records and billing systems. Ensure the proper disposal of member and consumer information. Firewall software builds an intelligent barrier to protect you from bad things on the internet that want to reach your computer. Computer firewall software derive their name from the fireproof barriers, called firewalls, which stop fire from spreading through buildings, airplanes and vehicles. There exist both hardware-based and software-based types of firewalls for computers. This article will not really purposed to tell on which is the best firewall software of all the many existing firewalls in the market, rather it will help you to know the qualities of firewall software that can be of great help to you as the user. Monitors CPU, memory and disk space utilization of the SQL servers. Get complete details about SQL server. View general performance and utilization details with color coded alerts. Auto discover SQL server in the network. Database Firewall helps in securing crucial information within an organization, provided the organization’s aim is to prosper. With highly confidential data comes the great responsibility of protecting it. Hence having a database firewall should be the fast option for any organization wishing to be successful in its undertakings. For there will always be someone with unpleasant motives targeting the organizations data intending to misuse it. With the growth of technology and the sophistication of hackers it is close to impossible if not impossible for an organization to survive without the use of a database firewall to protect their data at all time. GreenSQL’s database firewall enables administrators to define permissions for viewing or updating individual databases, tables or columns. 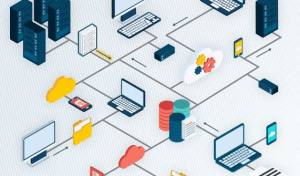 Database, table and column-level access permissions may be based on any combination of database user, IP address, client application and time of day. By implementing role –based access to sensitive information, Green SQL’s security software Database Firewall prevents information theft and eases compliance with a lot of regulations such as PCI-DS and HIPAA. SQL injection techniques are an increasingly becoming a dangerous threat to the security of information stored upon any Oracle database. Oracle is a huge product and SQL injection can be applied to many of its modules, languages and APIs making oracle database likely to be susceptible to SQL injection attacks. SQL injection attacks can be easily defeated with simple programming changes, however, developers must always ensure to be discipline enough to apply some important methods to every web accessible procedure and function.